We made it - 1000 cars are now online - I will try to migrate them from the old website into a new format! Thanks a lot for supporting my registry. Here is what will happen now! # If you only want to get registered whith your data (VIN & Data plate), just send it to me and I will put it in the brand new online database. 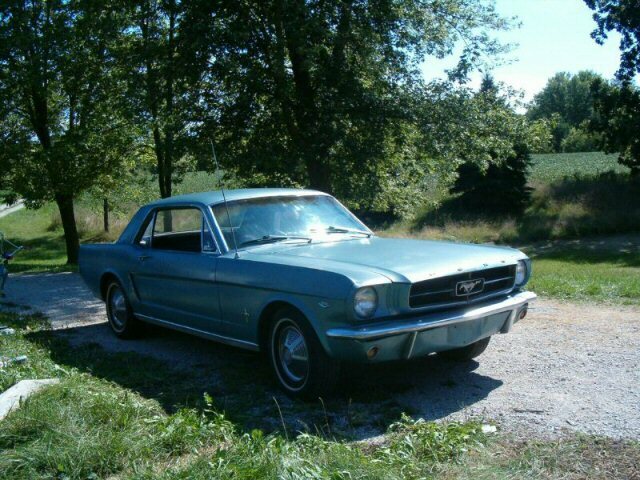 This is an original 1964 1/2 Mustang with 107957 miles on the odometer. 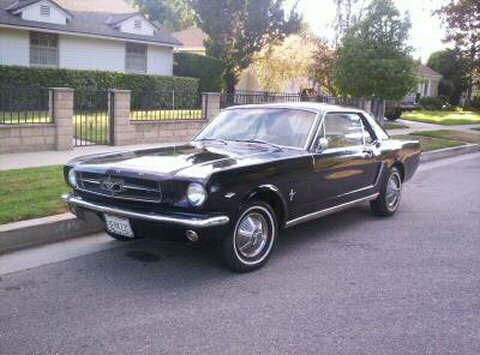 This Mustang was built on April 28, 1964 in California. It was origionally sold and serviced by McCoy and Mills Ford in Fullerton, Ca. The origional color was Pagoda Green. 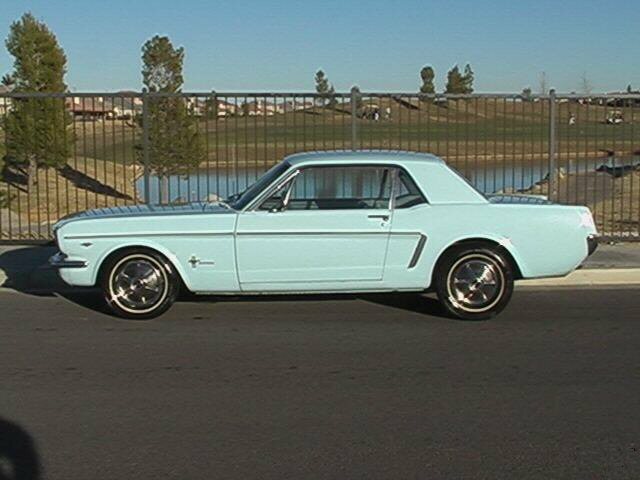 Ford Stopped using this color with the 1964 modle year. The engine came with a 4bbl but the previous owner replace it with a 2bbl. # Leaf Spring. One new spring is on, the other is waiting to be installed. I am not quite sure if the intake manifold is original or if they just put a carb adaptor on to fit the 2bbl carb. There is some minor rust here and there. The floor pans are solid and it runs great. It has a dual exhaust with an H-bar welded to the pipes. The interior is in very good condition. This is a original 289 D code with 42,000 original miles ... The black paint still looks good. Interior is original and still looks good. The head liner is good just a seem opend needs to be sewed in the back. It's an automatic; the car is not perfect but close to it. I will celebrate the 40th anniversary of the Mustang with a true classic! 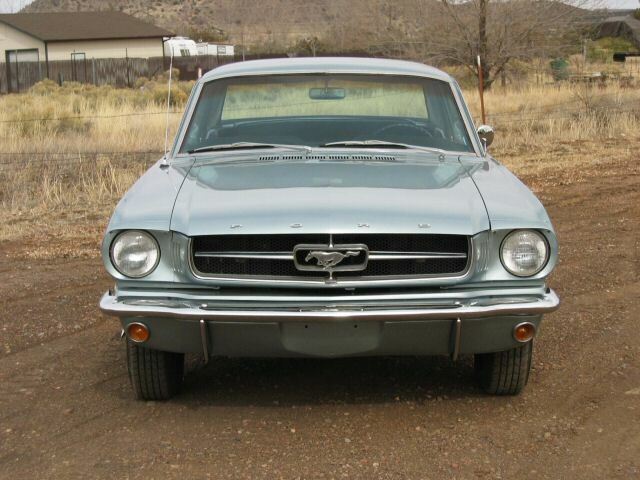 Manufactured on April 27th, 1964, this Arizona car is truly one of the first Mustangs ever produced! She is 95% restored to her original factory splendor. She boasts the original 289 engine with a 4 bbl carb, power brakes and power steering. I have the reciepts for all parts and work. This is a truly rare Mustang. 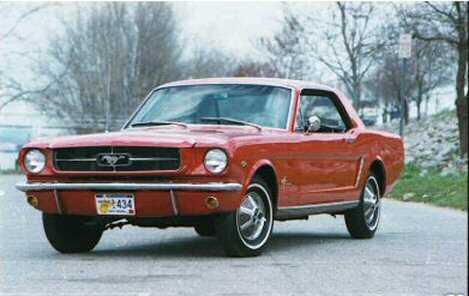 This is a 1965 (actually an early ‘65 sometimes referred to as a 64’½) Ford Mustang. I’m selling my project because I can’t afford the restoration. 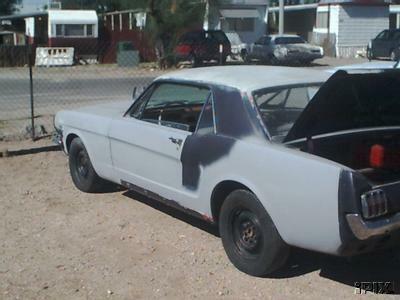 This mustang has lived in Phoenix, AZ for most of its life and has very little rust. As far as I can tell there is no rust in the structural components of the car. The only rust is some minor surface oxidation on the outer body and a small hole in the passenger door. The car is also complete (minus the AM radio), the only non original items on the vehicle are the carburetor and the transmission,. All the car’s glass is intact and free of cracks. The car has yet to be modified but as I said the transmission and carb aren’t original. I have a Ford Toploader 4-speed manual (with bellhousing) that I was planning to put into the car, it is included in the auction. Attached to the Toploader is a freshly-rebuilt Hurst shifter, also included. The wimpy factory 2- barrel carb I sold but I have a 625 cfm Carter AFB (4-bbl) which is also included in the auction. I was told by the previous owner that the car has never been involved in a major accident which is quite believable, I can’t find any evidence of major body work. The doors close amazing well considering the condition of the weather stripping. The hood was damaged and should be replaced The rest of the body needs less major work and of course a good repainting. The interior will need to be rebuilt but again rust is practically non existent and almost all of the original interior pieces are there. I was planning to heavily modify the engine but actually the engine is basically stock. The block has been professionally cleaned, Magnafluxed, and bored .030 oversize. New freeze plugs and cam bearings have been installed and the rods have been reshaped and fitted with new bolts. Also the pistons are new as well. I’ve put over $550 into the engine so far. The cylinder heads passed a Magnaflux check but are borderline as to whether they should be kept or not, no work has been done to them. I’ve rebuilt the original distributor. The rest of the engine components are untouched. This car was purchased from one of my friends awhile back due to the over abundance of projects that i've got,I decided to get rid of this car.This car just came out of the body shop a week ago i had them fix minor dings and stuff like that so the body is in really good shape and ready for paint.I am not hiding nothing this car was straight when i first bought it and now it is just better.There was no rust or serious dents in this car.The car has a 289 V8 in it and a cruise o matic transmission,The motor runs very good and sounds healthy also.the interior is all there but needs reupolstering .I do not know if that is the real mileage on this vehicle that is just what the title reads.After all is said and done you will have yourself a very nice car for anyone who wants a fun project to finish. 6. 1 1/2" FRONT SWAY BAR WITH POLY BUSHINGS. It has original factory Air Conditioning. 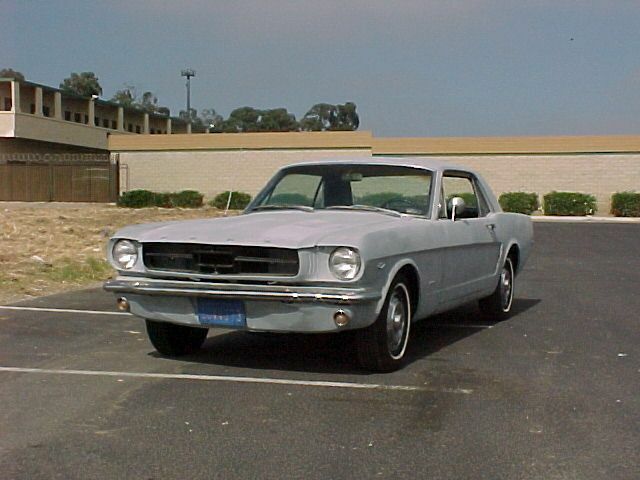 This Mustang came with a Generator instead of a Alternater - that came In The 1964-1/2 only! It's optioned with a Center Console and Power Steering. No Mechanical defaults of any kind, car is in excellent condition. The motor and transmission has been rebuild recently. It has an dual exhaust powered by a 4bbl 289 engine. The upolstery and headliner are in excellent condition. Vehicle Description You are looking on a 1964 1/2 Ford Mustang Coupe, built on April 22, 1964, which happens to be 5 days after the April 17th introduction. 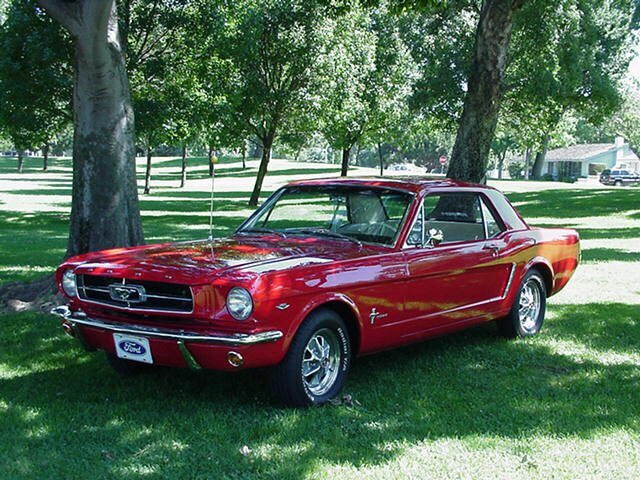 This is number 18,299 out of over a half million cars produced in the 1965 model year. This is a rare D-code car, equipped with the correct 5-bolt 289cid-4V engine and mated to a smooth four-speed transmission. The car was lovingly restored by father and son in a 5-year period and completed in 1992. It was restored for keeps as well as to cruise. It has the correct 1964 pieces - hood and headlamp bucket assembly, seatbelts, "Air" knob (instead of "Vent"), frame-mounted horns, and a generator. The underbody is completely detailed in gloss black. The car rides on 6.95x14 bias ply tires with hubcaps and spinners. 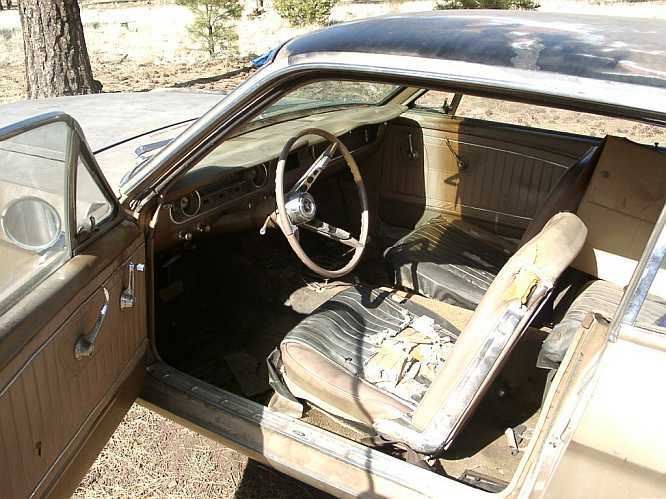 All parts used in the restoration are OEM, factory pieces, except for the steering wheel. This car was restored 12 years ago. This car is not a trailered, show car, although it is a driven car that is show quality. The paint job is maintained with Liquid Glass and is very smooth. Overall condition is good to excellent - very well maintained for an older restoration. The car received a 1.0 grade from a professional appraiser in 1992. New Parts: front valance, front bumper, bumper filler, hood, radiator support, both fenders, both door shells, both quarter panels, both wheel houses, deck lid, rear bumper, rear valance, rear tail light panel, trunk pans, full floor pans, under rear seat pans, toe pans, gas tank, parking light package, tail light package, back up light package, all new wiring under hood, complete new lock set ( door, ingnition, trunk) all door handles inside and out, complete new interior (headliner, seats, carpet, dash pad, all rubber and felt, seals new, complete new badge chrome kit, quarter trim etc). Vehicle has less than 700 miles since restoration completed.